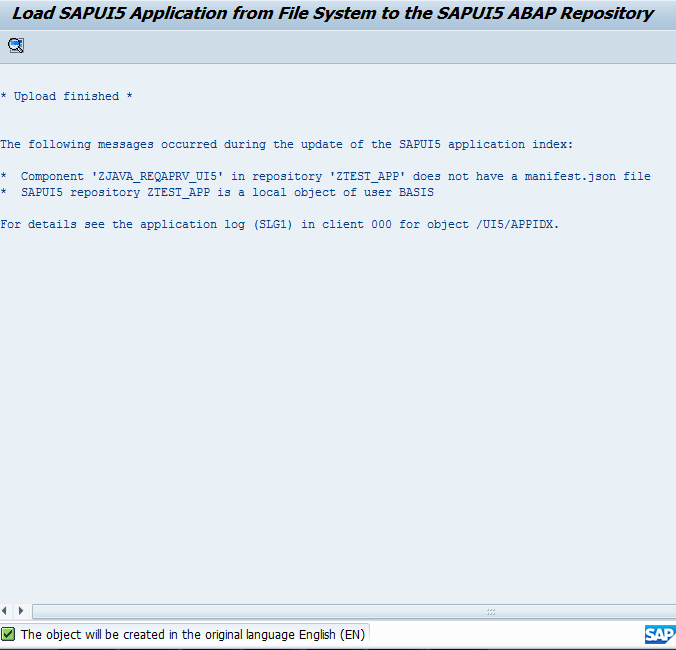 Here we see the process to deploy a custom UI5 application in SAP-Fiori (Front-End) server. So we comment those details and save the project. 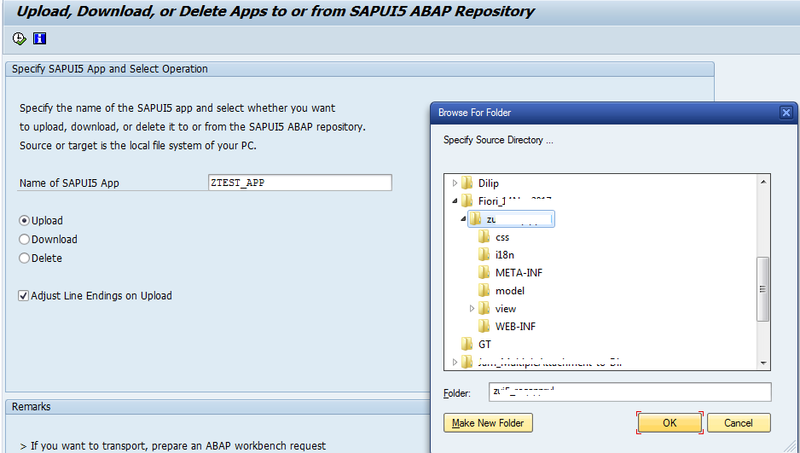 During app deployment, while selecting location of UI5 app’s ‘WebContent’ folder, Either we can refer same eclipse work-space location or extract it in some other folder. 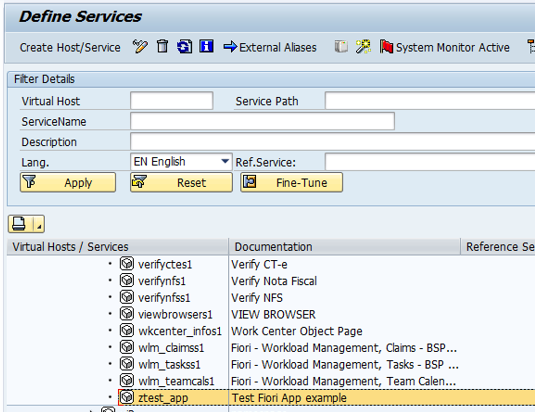 Once UI5 application ‘ZTEST_APP’ gets created, we need to host/deploy it in SAP-Fiori server. 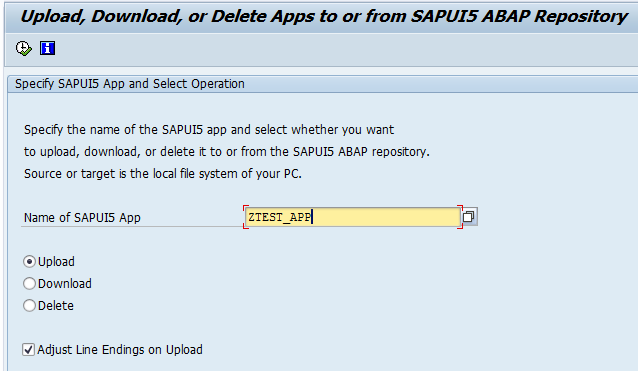 It should be activated, if not then right click on app name -> selct ‘Activate’. 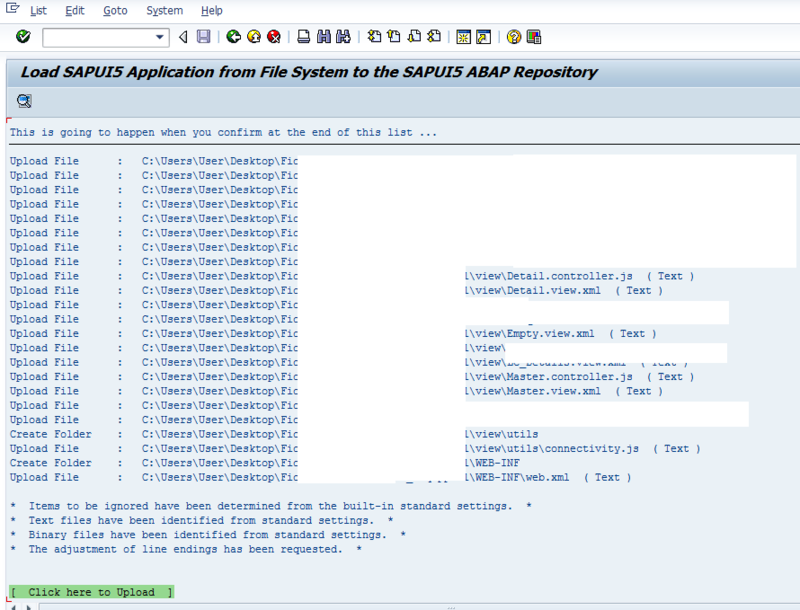 Sorry for delayed response, I was too much busy in my current project…. 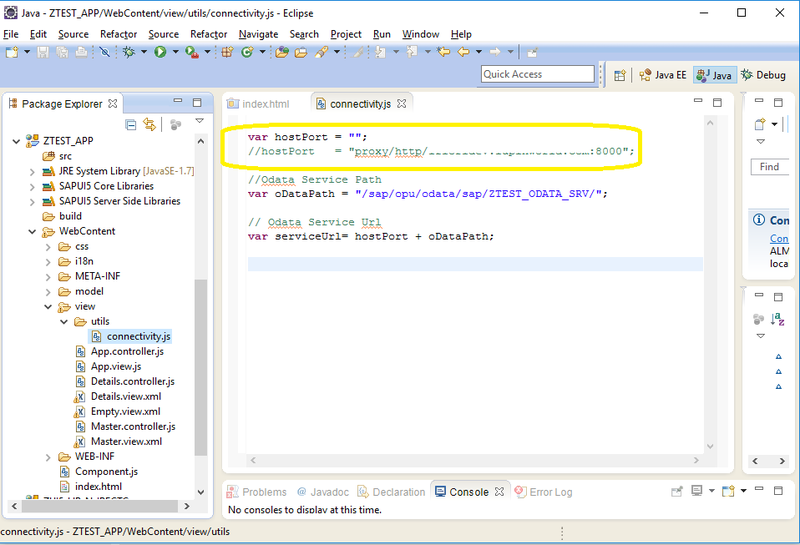 I am also planning to add few more blog related to odata….you can refer that too. Don’t worry, i could! but i’ll read that blog thank you very much!